As our brief Christmas break draws near, we're now firstly evaluating the state of last week's Arma 3 Tac-Ops Mission Pack and Update 1.78 release. As part of that, we're likely going to deploy a small hotfix to address some of the reported issues this or next week. Once that's done, we'll start cleaning up our internal systems, lifting data locks, going through the usual 'end of the year' organizational processes, while making sure Arma 3 rolls steady into the holiday season. The anticipated Arma 3 Tac-Ops Mission Pack has been released! After months of hard work by our Design team, we're proud to finally deliver this package to players. 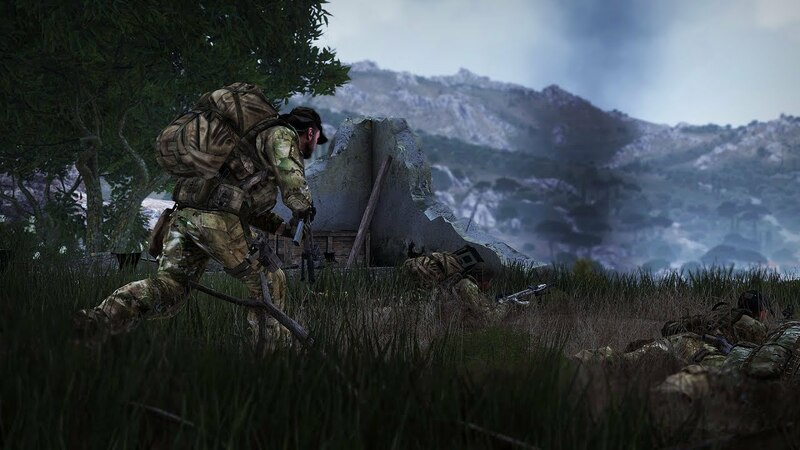 With its focus on premium singleplayer mission content, Arma 3 Tac-Ops is a bit different from our other DLC, and we hope you'll enjoy this fresh singleplayer experience. Aside from the DLC itself, we've also introduced something new for Tac-Ops in the form of After Action Report (AAR) videos. These videos are presented by one of our military consultants, and offer practical insights on military tactics and combat as relevant to the Tac-Ops missions. You can read more about the Mission Pack here, watch the launch trailer, or visit Steam or the Bohemia Store directly to make your purchase. Before you head out into combat, be sure to do a quick scan of this article on 5 things you can do to prepare for your Tac-Ops deployment. Good luck out there, soldier - make us proud! Tac-Ops Mission Pack is without a doubt the star of Update 1.78 (which was not accompanied by a Tools update this time). However, there were a few more additions included in the update. We'll talk about some of these in the Operations part of this report, but first let us discuss the ones that are related to the upcoming Tanks DLC. Vehicle enthusiasts might be interested in the PhysX library update, which will help us improve the handling of vehicles. We're happy to report that deadly bush and rock species will no longer pose a threat like they used to. Unlike before, hitting them with your vehicle at higher speeds should no longer result in a fatal crash or orbital launch. Furthermore, when commanding an AI vehicle crew as commander, the AI delay should be almost non-existent. We hope this improvement will enable content creators to better incorporate vehicles into their scenarios! Two nice bonuses in the update may have not caught your attention so far. All Apex data is now decrypted (converted to PBO), and downloaded to all players. This means community creators can now rely on all players having this data installed, and use it in their scenarios for example. It also means everyone's data is once again a single branch, making maintenance a little simpler and safer for us. It did cause the installation footprint for those who don't yet own Apex to grow a little. In addition, owners of various special editions of the game will now find translated versions of the Malden topographic map (PDF) in the "Bonus" subfolder of the game. One of the changes turned out to be more problematic. As mentioned in the previous SITREP, we've introduced a BattlEye port change, which we hoped would result in a smoother and more stable solution, especially for some of the community groups that were experiencing server issues. Unfortunately, its introduction did not exactly go as planned, despite our internal Quality Assurance efforts and almost two weeks of public Release Candidate testing. It now appears that in some situations the Dedicated Server refuses to use any game port other than the default one (2302). Needless to say, our programmers are working on a solution as we speak, which we hope to deploy later this week. Even though this low-level change didn't roll out as smoothly as we had hoped, the proposed direction should still be beneficial in the long run. For now, we apologize to everyone affected, and thank you for your understanding and patience! You can now nominate your favorite Arma 3 mods in the annual Mod of the Year Awards hosted by ModDB! As per usual, the Top 100 mods will be listed on their web page, while the Top 10 will be introduced in greater detail. Show your support for (Arma 3) modders before voting closes in about 5 days! HeliSimmer, a web portal focusing on helicopter simulations and simulators, published a cool interview with Bob Patterson, who is the leader of the "160th Special Operations Aviation Regiment" Arma 3 community unit, and provides in-game helicopter transport and fire support. Bob talks about the type of missions his group usually plays, what practice routines they have taken on, and shares some useful tips on how to fly helicopters in Arma 3. It has turned into a great interview, and is certainly a recommended read for all (virtual) rotorheads! Dev-Branch users and community creators might have noticed an unusual number of script errors appearing in scripted functions, modules, and script commands. Some of these are caused by enum script warnings. Essentially, the game would previously often ignore when you were using an incorrect value. An informative script error now appears however. It is recommended to check the public documentation to see if the values provided are indeed correct. If you think that an error that you came across was a false positive and should not be reported as an error, please let us know via our Feedback Tracker (several are in progress of being fixed already)! One of the new additions in 1.78 is the Key Frame Animation system. Fully supported in Eden Editor, this feature animates an object between two given states. Senior Designer Nelson Duarte created the system with plenty of options: creators and modders can use several interpolation algorithms and choose different options for movement calculation. As a result, this simple yet very strong tool is now available to everyone! Feel free to check the public documentation on the Community Wiki. Those who have already played the Tac-Ops operations have surely noticed the Animated Opening sequences, which were used to introduce players to the tactical plan of each of the operations in an effective way. To support our community to create similar introductions, the complete documentation for the system is now available on the Community Wiki. You'll find all necessary functions, parameters, and code snippets and should be able to create your own splendid Animated Opening in no time! Last but not least, a small but fun new script command was added. The setPlateNumber command can be used to change a vehicle's license plate to your liking. Some of our community members already let their creativity run wild, and we welcome you to do the same! Recently, we've been receiving reports about the Bohemia Forums not displaying addresses in its subdomain. If you encounter the issue, try to change the URL manually from HTTP to HTTPS. This comes in especially handy when clicking older existing links to forum posts. Steam has recently pushed an update to the .NET redistributable package, which is also needed to run Arma 3 (and the Tools). You may be prompted to agree with these changes when trying to run Arma 3 next time. Please note that Steam will only update the package and not the game itself.